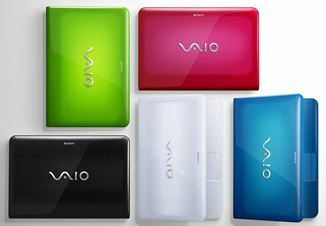 Sony has added two new notebooks to its VAIO E Series line which are known as VAIO E Series 14” (VPCEA1Z1E) and VAIO E Series 17” (VPCEC1S1E). The new VAIO E Series 14” is being designed for browsing, blogging or playing digital media collection and the VAIO E Series 17” is being designed for ultimate HD entertainment. Processor: Intel Core i3-330M 2.13GHz. Operating systems: Genuine Windows 7 Home Premium (64-bit). Memory: 4GB DDR3 SDRAM (1066 MHz). Hard drive: 500GB (5400 rpm). Screen: 14-inch display with ratio 16:9 with LED backlight. Graphics: ATI Mobility Radeon HD 5145 with 512MB VRAM. Dimension: 238.7 x 27.3 x 345.8mm. Processor: Intel Core i5-430M 2.26GHz with Intel Turbo Boost Technology (max. 2.53 GHz). Graphics: ATI Mobility Radeon HD 5650 with 1GB VRAM. Optical drive: Blu-ray disc player. Dimension: 273.8 x 31.9 x 409.1mm. The new VAIO E Series 14” is expected to be available from beginning of April, while VAIO E Series 17” notebook is expected to be available by end of March.